Soft drinks are a staple drink here in the USA. Some of the biggest soft drink corporations got their start here in the US and have expanded into multinational companies. Now almost anyone in the world can enjoy a soft drink whenever they want to. Unfortunately, some people have been enjoying soft drinks a bit too much. “Moderation is key” you’ve probably heard that before. It’s very good advice as well. As with any food or drink, overconsumption tends to lead to some significant problems. 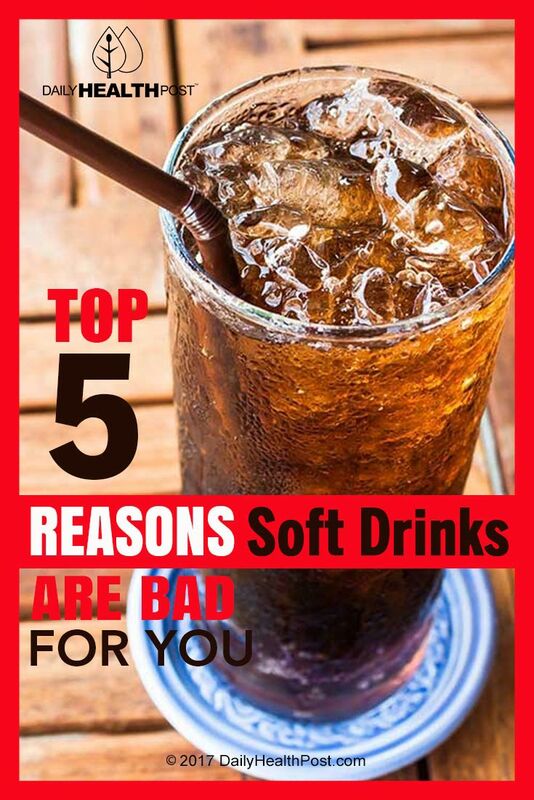 Soft drinks are no different. In fact, they have been under fire from the health community for quite a few decades now. Over the last few years there has been an increase in research studies showing the dangers of drinking too many soft drinks. Phosphates and phosphoric acid helps soft drinks stay fresh for a long period of time and adds a bit of flavor. It’s naturally occurring in a variety of foods that we enjoy every day. But with people drinking more and more soda, phosphate intake has also increased. Phosphates are known to affect the heart, kidney, muscles, and bones negatively. Studies with rats have shown that increased levels of phosphates caused them to die sooner than rats that did not consume phosphates. 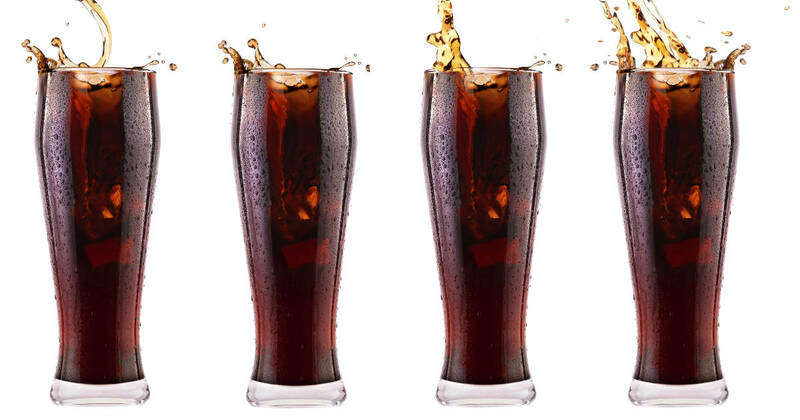 Recent research has shown that men and women who consume soda regularly in amounts many Americans consume, have had their metabolisms change – and not for the better. Metabolism in test subjects changed in ways that made it harder for them to lose weight and burn fat. The well-studied chemical BPA has been used in bottles and cans for years. It has been discovered by the scientific community to be a known cancer-causing agent. Companies have been dropping BPA from their products but many soda cans still contain BPA. Avoiding the chemical is a good idea. Be sure to confirm whether any other canned product you eat or drink contains any BPA. 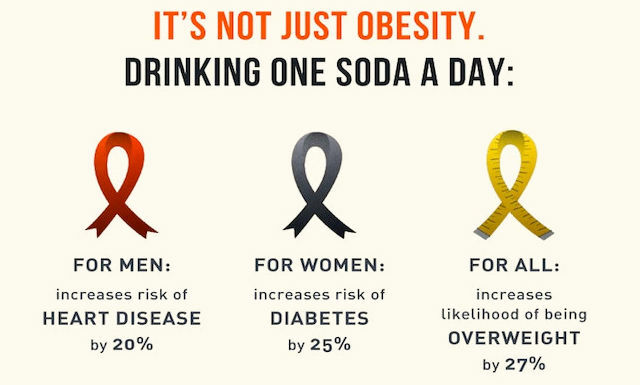 A study from Denmark in February found some interesting information about the relation between fat and soda. The group which consumed sugary soft drinks compared to the group that drank only milk were found to have higher fat levels in their livers and muscles. Fat buildups in the muscles and liver have been known to lead to heart disease later on. The caramel food coloring put into most sodas has been under fire for over a year for concerns that it may be a cancer causing agent. Animal studies have found small amounts of the chemical have been directly related to cancer in animals. Some believe that only 16 micrograms of the chemical consumed per day by a person is a cancer threat; but one 20oz bottle of soda contains 200 micrograms!